In 2013 Bloomberg Philanthropies partnered with Sustainable Harvest to increase economic opportunities for women and their families. Relationship Coffee Institute was developed— recently re-named Sustainable Growers — to give women farmers and their families in Rwanda agricultural sector more professionalized, market- based skills to increase their family incomes. The impact and scope of the work has been extraordinary. Over the course of the project, tens of thousands of coffee women have received direct skills training, earned rewards for the quality they produced, and learned to manage their own business organizations. Ruth Coleman is responsible for overseeing the organization’s operations and managing strategic relationships. Previously, she worked with California State Parks, the California Legislative Analyst office, and was a Peace Corps volunteer in Swaziland, Africa. She is a graduate of Occidental College and the Harvard Kennedy School of Government. Rosa oversees the organizations' finances and administration activities, both domestically and internationally. Rosa has extensive nonprofit experience, having worked with NGOs that support survivors of domestic violence, promote food security, and develop international non-profit programs. In the for-profit sector, Rosa has worked with mission-driven companies that support social stewardship and women's health initiatives. Bong advises on our strategic project efforts bringing an extensive background in business, e-commerce, law and finance. He has an undergraduate degree in Business from University of Pennsylvania’s Wharton School, and a law degree from University of California’s Berkeley School of Law. He founded the internet company BuyDirect and served as its Chief Executive Officer. He also served as a mergers & acquisition banker at Robertson, Stephens & Company and Morgan Stanley & Co., as well as Senior Vice President of corporate development at CNET Inc. and Beyond.com. Paul has over 30 years experience advising, funding and starting commercial and non-profit businesses. After earning his MBA from Columbia University, he joined the technology strategy practice at Booz Allen. He was a Vice President in Morgan Stanley’s M&A practice in NYC, and practice leader of GE’s private equity investing activities based in Stamford, CT and San Francisco. He was a founder or lead funder of several businesses including Education Finance Partners, AdPerk and several non-profits. Paul is interested in social enterprises and commercial businesses that find a way to support non-profit social services with cash and expertise while also sustaining their for-profit activities. As our East African Regional Director, Christine leads all program activity for Sustainable Growers in Rwanda. 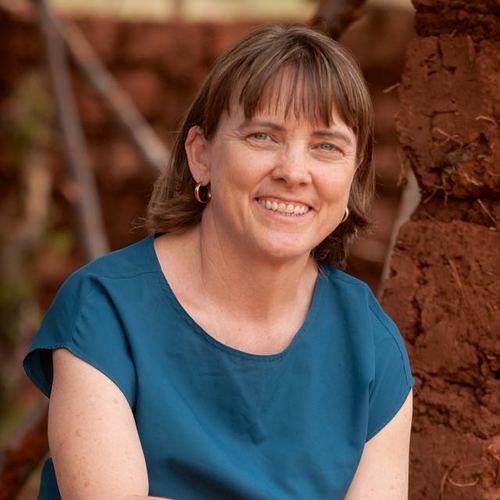 Prior to joining our team, Christine worked with ACDI/VOCA on a USAID project, with Fair Trade USA, REDI (Rwanda Economic Development Initiative), and Root Capital. She has invested the past 14 years in her passion: transforming the lives of people in the rural sector, especially through women’s economic development. Jean d’Amour oversees the implementation of all program activities for Sustainable Growers in Rwanda. He has more than 17 years of experience in agronomy, including eight years in coffee value chain development. Before joining our team, he worked with Wageningen University on a project of improving the sugarcane value chain in Rwanda’s Nyabarongo valley. Jean d’Amour holds a bachelor’s degree in Rural Development & Agribusiness, an A1 diploma in Crop Production, an A2 diploma in Agriculture. He is a master’s degree candidate in Project Management. Richard is responsible for managing the development and execution of systems to track and report on the impact Sustainable Harvest®-Rwanda delivers to its program beneficiaries. He has a strong background in technology and management of development projects. Prior to joining Sustainable Growers, he served as a tech consultant for Vitae Homes, a California-based real estate firm. Prior to that, Richard spent seven years in technology, business analysis, and M&E roles at Grameen Foundation. 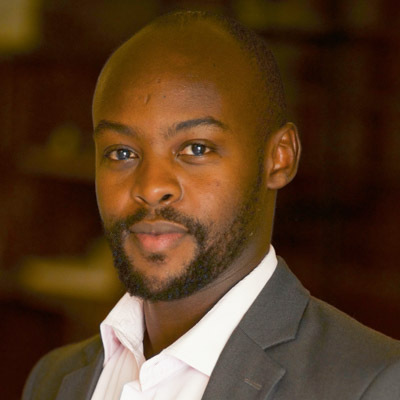 Richard is an alumnus of the International Institute for Local Development in Cape Town, South Africa, in Result Based M&E, and a graduate of Makerere University in Information Technology. Joseph is responsible for managing data collection activities, ensuring quality control of collected data, and contributing to M&E system development. He has an undergraduate degree from the Higher Institute of Agriculture and Animal Husbandry in Rural Development and Agribusiness. 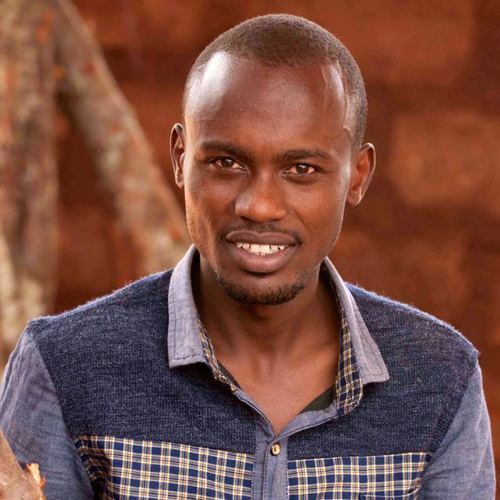 Joseph worked for the National Institute of Statistics of Rwanda for three years in data collection projects (including the National General Census and the National Agriculture Survey) as a team leader at the district level. Caleb is the accountant and office administrator responsible for maintaining, verifying, recording, and reporting the company’s financial activity. He also oversees and ensures smooth office operations. Before joining Sustainable Growers, Caleb worked in the hospitality industry and with USG-funded projects in Rwanda, including Jhpiego Corporation and Constella Futures Group. He is a graduate of School of Finance and Banking in Rwanda and is currently a CPA candidate. Fabien joined our team in 2014 as Senior Agronomist, based in Nyaruguru District, before becoming the Regional Manager of Southern Province. He has 11 years of experience in the coffee industry, including nine years at the National Agricultural Export Development Board (NAEB) as a zone coffee extensionist responsible for planning and organizing coffee farming activities, developing coffee producers’ awareness of formation of cooperatives, and preventing coffee diseases and pests. He has a degree from ISTCE University. Jean Aime is based in Rwamagana District, Jean Aime is based in Rwamagana District, providing Best Agricultural Practices trainings, cooperative management trainings, and quality control and business advisory services to coffee washing stations. Prior to his employment with Sustainable Growers, Jean Aime served six years as a zone coffee extensionist with the National Agricultural Export Development Board (NAEB) working closely with farmers in the Western Province of Rwanda. He holds a bachelor’s degree in Agri-Business, a diploma in Crop Production, and has participated in many cupping trainings and three roasting training. Martin has 11 years of experience in the coffee industry, including six years at the National Agricultural Export Development Board (NAEB) as a coffee cooperatives officer, coffee processing officer, and coffee value chain specialist, and five years at the International Center for Research in Agroforestry (ICRAF), where he works as a field officer coordinator for ICRAF’s shade trees project. He has an Agricultural Engineering degree from National University of Rwanda (NUR) specializing in Crop Productions and Horticulture. Amani oversees coffee program activities, coordinates agronomy program planning, provides expert knowledge to the strategic vision undertaken by program directors, and oversees timely and effective implementation of the agronomy training program and value chain training. He holds a master’s degree of Development Studies and a bachelor’s degree in Agriculture and Crop Sciences. Prior to joining our team, Amani worked as a zone coffee extension officer at the National Agricultural Export Development Board (NAEB) and Rwanda Agriculture Board (RAB). Dominique has invested 12 years working with coffee farmers. Prior to joining Sustainable Growers, he was a field agronomist advisor for coffee washing stations with SNV Rwanda. Prior to that he worked with USAID-Global Communities in the Integrated Improved Livelihoods program as a cooperative development junior consultant in the areas of governance, financial management, and value chain development. Dominique holds a bachelor’s degree in Rural Development. Ignace coordinates all program activities for our team in Ngoma District. Prior to that, he worked with SDA/CONCERN Worldwide as a development technician on a graduation program project and spent four previous years as an agronomist in Gisagara District in charge of agriculture, cooperatives, and natural resources. Ignace holds a bachelor’s degree in Crop Production, an advanced diploma in Crop Production, and an A2 diploma in Agriculture. Ernest supervises the implementation of priorities with local government, women leaders, and cooperatives in the Gakenke District to meet project milestones. Previously, Ernest worked in Nyaruguru and Kayonza Districts as a Junior Agronomist, providing training in Best Agricultural Practices and cooperative management, as well as conducting data collection. Ernest holds a bachelor’s degree in Crop Production and an A2 Diploma in Agronomy. Annualite supervises the implementation of priorities and working closely with government, women leaders, and cooperatives in the Rulindo District to meet project milestones. Previously, Annualite worked for Wood Foundation Africa as a Farmer Field School Facilitator, as a field enumerator in IPA and interned for one year with in RAB-Musanze. Annualite holds a bachelor’s degree in Crop Production and an A2 diploma in Maths and Physics. Pacifique coordinates the implementation of all program activities for our program at the Huye District level. Before joining Sustainable Growers, she worked as a consultant with Canadian Cooperative Association (CCA) Rwanda, organizing and providing agricultural technical assistance and training at the primary cooperative level. She's also worked as a consultant for USAID-Global Communities as part of the Integrated Improved Livelihood program, providing business mentorship to micro-, small-, and medium-sized entrepreneurs. Pacifique holds a bachelor's degree in Agriculture and Rural Development with honors in Horticulture, as well as an advanced diploma in Crop Science at University of Rwanda (UR/CAVM) as a sector agronomist. Epiphanie is responsible for coordinating the implementation of all activities at Karongi District and part of Nyamasheke District. She holds a bachelor’s degree in Rural Development and Agribusiness. Before joining our team, she served as a Zone Coffee Extensionist, working closely with coffee farmers at Rwamagana and Huye Districts for four years. Prior to that, Epiphanie spent two years at CARE International as an enterprise development professional at Gatsibo District. 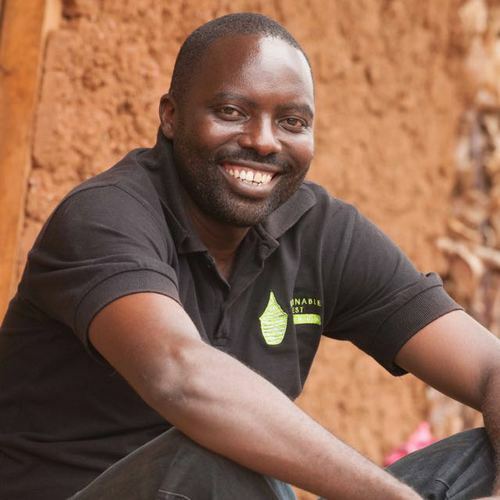 Eric is an Agronomist based in Nyaruguru District, providing Best Agricultural Practices trainings, helping smallholder cooperatives become more business-minded, and training in management of coffee washing stations for producing specialty coffee. Prior to his current position with Sustainable Growers, Eric was a Field Agronomist Advisor for coffee washing stations (CWS) with SNV. 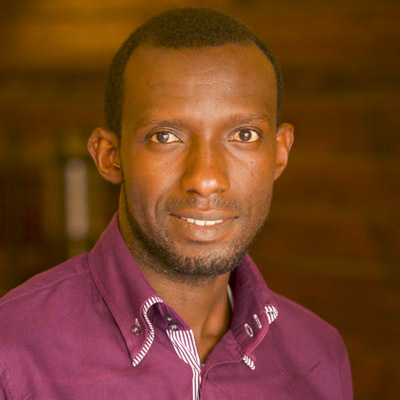 He has done cupping, management, and leadership trainings and enjoys innovation and working with rural communities in Rwanda. He holds a bachelor’s degree from the University of Rwanda in Soil and Water Management. Before joining our team, Eric worked with the integrated project for Ecosystem Rehabilitation and Green Village promotion, a FONERWA funded project as a Field Officer, and later with PAREF as District Forest Extensionist Officer. Eric has a bachelor's degree in Agroforestry and is master’s candidate in Project Management at Mount Kenya University. Alice supervises the implementation of program priorities,working closely with local government, women leaders, and cooperatives in the Gicumbi District to meet project milestones. Alice holds a bachelor’s degree in Crop Production and Horticulture from the National University of Rwanda. Prior to joining Sustainable Growers, Alice worked as a Farmer Field School Technical Assistant for Rwanda Agriculture Board (RAB) to support the SPAT II Program financed by Belgian Development Agency (BTC). She is also a Farmer Field School Master Trainer. Diana Butera Uwantege is responsible for the internal works and management of our office in Kigali. She is a resource for all staff members in human resources, logistics, procurement, office equipment, and field staff needs. Before joining Sustainable Harvest®-Rwanda, Diana worked with Balton Rwanda Limited as Administration and Logistics Manager and later worked with The Hive Rwanda Limited as a Projector Administrator. Diana holds a degree in Agricultural Sciences in Rural Development and Agribusiness. 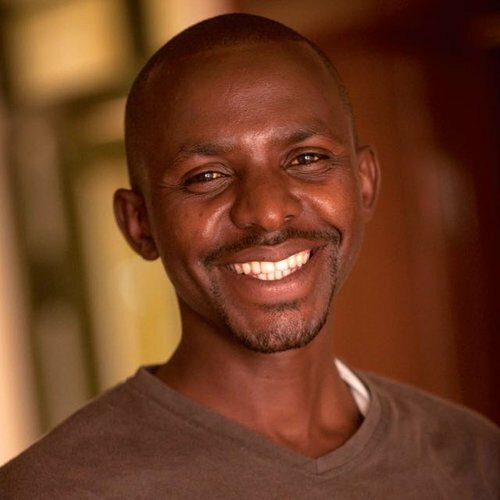 Jean Bosco is a senior coffee master roaster and cupper with 14 years of experience in coffee. He has worked for Rwanda specialty coffee roasters as well as Stumptown Coffee Roasters in the United States. He has done a cupping training organized by the USAID Pearl project and attended barista school for coffee in the United States. He has a level A2 in Biology and Chemistry from Huye District (EAB). Egide is responsible for ensuring the transportation of staff and partners. Before joining our team, Egide spent seven years with the Rwandese Patriotic Front (RPF) Inkotanyi as the personal driver of the Executive Secretary. Egide is a decorated driver, with A and B driver’s licenses and various mechanical engineering trainings. Adam started his career in coffee in 2005 with a small roastery outside Toronto. In the last 12 years, he has focused on specialty coffee for the hospitality industry, with experience managing operations in Europe, Asia Pacific, China, and now East Africa. As the Director of Social Enterprise, Adam leads the team in creating products for the local market and delivering world-class services. Adam is also responsible for exploration and growth strategies for Sustainable Growers coffee. As Deputy Director of Social Enterprise, Sylvere oversees the LLC’s operations and ensures business growth. He received a bachelor’s degree in economics and business management from the National University of Rwanda. Before joining us, Sylvere spent five years as Business Development Manager at Sustainable Health Enterprises (SHE), a social enterprise developing a women-led franchise model to manufacture and distribute affordable, high-quality, and eco-friendly sanitary pads across Rwanda. As Wholesale Account Coordinator, Micheline manages and provides customer support to new and existing accounts. She coordinates and executes activities that support our key accounts along with promoting the Sustainable Growers brand in Rwanda. 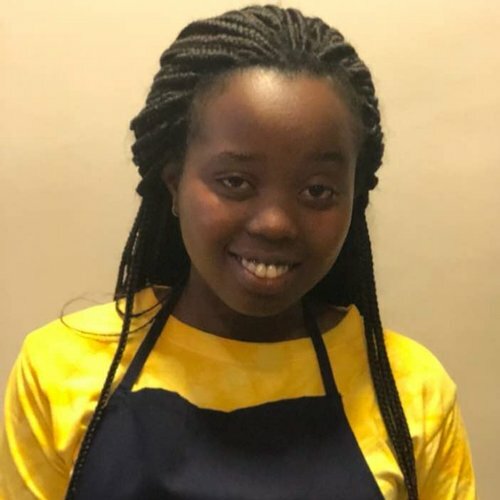 Micheline joined the team after spending three and a half years with the international in-flight catering company, ASL Rwanda EPZE, in Kigali as their customer liaison. She received a bachelor’s degree in Business Computing specializing in E-Marketing from APIIT in Kuala Lumpur, Malaysia. Janvier is responsible for the coordination of logistics at the social enterprise. He is also our senior transport coordinator/driver. Prior to joining us, Janvier was a transport coordinator at National Unity & Reconciliation Commission. Before that, he worked as a private driver at National Commission of Science and Technology, African Development Consultants under USADF. Janvier is a member of the audit committee of a cooperative of transportation called CODACE with service throughout Rwanda. He holds a certificate in Computer Hardware and Networking from Tumba College of Technology and a certificate in Motor Vehicle Mechanics from Kavumu Driving School in Nyanza (Southern Province). Telesphore creates the systems that allow our social enterprise to grow sales month over month. 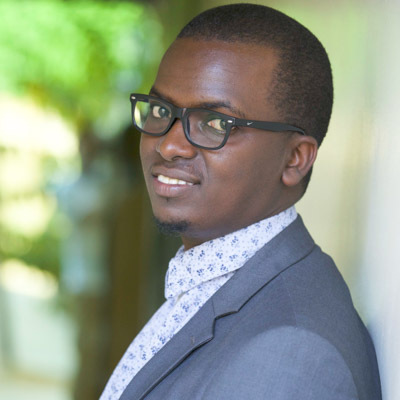 Before joining, he spent more than 10 years as an auditor for corporate institutions and is a regular speaker in workshops in Institute of Certified Public Accountant of Rwanda on Information Systems Security topics. He also holds a Master of Science in Professional Accountancy from the University of London. Smayah is a natural leader behind and outside of the coffee bar. As a Sr. Barista, Smayah is responsible for serving delicious cups of coffees to our guests and sharing the story of our program through customer interaction, barista training, and as a coffee tour guide. Before joining Sustainable Growers, Smayah worked as an independent illustrator and print artist. Smayah is a college student at Kigali University’s Law Department. 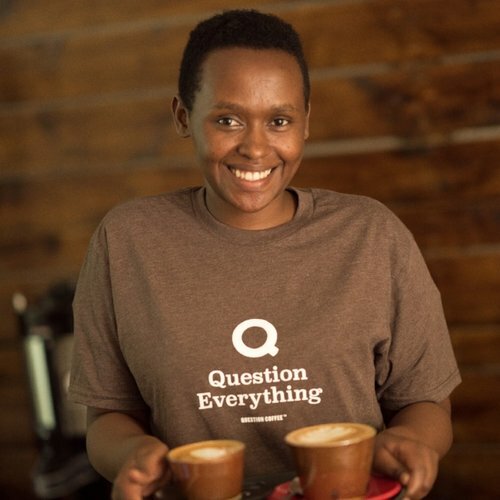 Her aspiration is to become a legal advisor to the coffee businesses and the first female roaster and quality controller in Rwanda. Beatrice is a skillful teacher and systems implementer. Beatrice works as a Sr. Barista, focusing on café procedures and management. As we grow, Beatrice is our primary resource for making sure our brand standards, policies, and procedures are followed across all customer touchpoints. Beatrice decided to join our team after working on the farm for five years. Beatrice’s long term goal is to become and master trainer of baristas in Kigali city. Merci is our newest team member, a young barista full of promise. After graduating from Muhazi secondary school, Merci Nsengiyumva joined us as a Junior Barista. Since joining, Merci has been eager to find new challenges and stretch her skills. Merci's dream is to become a Rwanda National Barista champion and compete in the World Barista Championships.